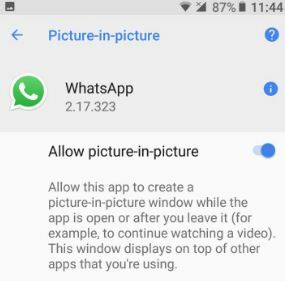 Recently WhatsApp adds picture-in-picture mode feature in video calling. We already know the how to use picture-in-picture in android 8.0 Oreo. 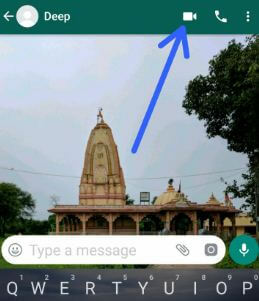 Using this picture-in-picture in WhatsApp, you can chat with other people during WhatsApp video calls. All users make a video call and text message at same times. It’s quite easy to use picture-in-picture mode in WhatsApp video calling on android phone. WhatsApp is regularly added new features such as WhatsApp video call, two-step verification for security, WhatsApp status, broadcast message and more. And recently added PIP mode in WhatsApp video calls. Not all android devices supported this PIP in WhatsApp. All android Oreo 8.0 devices supported this WhatsApp PIP mode. WhatsApp is one of the most use social media apps to chat with your friends and share photos, videos & animates GIFs. Follow below given step by step guide to use picture-in-picture mode in WhatsApp video calling and text messages. You can see small screen in the below right side corner. Also change size of screen in your device. Now go back to chat and chat with your friends or family member and enjoy WhatsApp video calling also at same time. You can also chat in another application in your android Oreo, Nougat and marshmallow devices. Now enjoy WhatsApp picture-in-picture mode in video calling. In latest version android 8.0 Ores devices, you can disable PIP mode using below given 2 different settings. 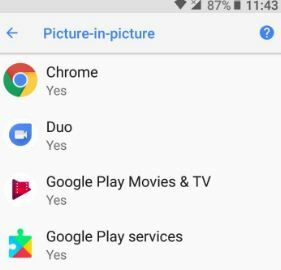 You will see list of apps supported picture-in-picture mode in your android 8.0 Oreo devices such as Google Pixel, Pixel XL, Nexus 6P, Nexus 5X, LG, HTC, Nokia and more. By default enable PIP mode in your Oreo devices. 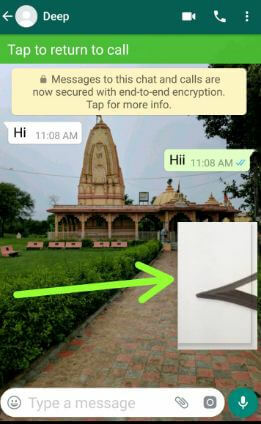 And that’s all about WhatsApp new PIP features. I hope above given tips helpful to use picture-in-picture mode in WhatsApp on android 8.0 Oreo. If you have any kind of trouble, let us know in below comment box. Stay connected with us for latest Android Oreo tips.